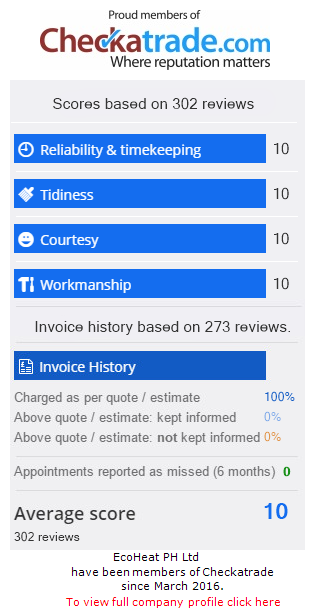 Quality tradesman arrived on time carried out excellent workmanship explained how new boiler functioned would recommend to anyone. Matt was fabulous. Phoned saying he was near etc. Definitely be using him again. Highly recommended. Our Facebook page www.facebook.com/ecoheatph is updated regularly with pictures of recent jobs!